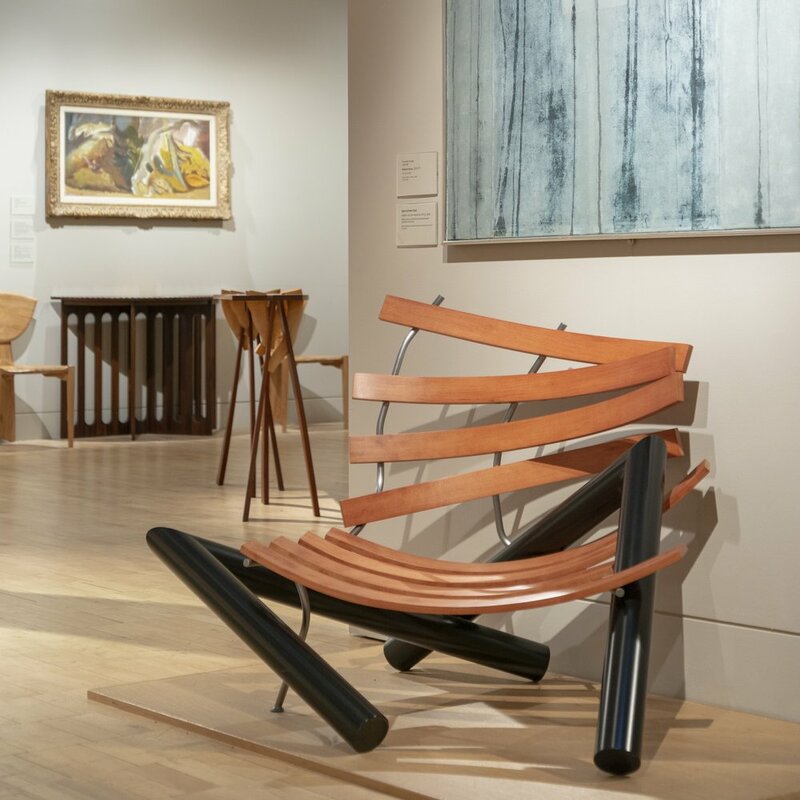 The award winning Egon Schiele Chair is now on display in the prestigious Fitzwilliam Museum in Cambridge as part of their remarkable collection of contemporary British crafts. The chair was commissioned by Sir Nicholas and Judith Goodison who have gifted over 120 objects from their collection of contemporary ceramics, glass, furniture, woodwork, metalwork and jewellery, which they have built up over the last two decades. It includes important work by Martin Smith, Phillip Eglin, Anna Dickinson, David Reekie, Alan Peters, David Poston, and Adam Paxon. The purpose of the collection has been to give to the Museum some of the outstanding work being created by British designers and craftspeople today. The term “British” includes craftspeople from overseas who have trained and worked in Britain. The result has been to put the Museum on the ‘must visit’ list of anyone interested in contemporary work. The schiele chair was inspired by the Egon Schiele painting "Seated Woman with Bent Knee", from which it derives its form and colouring. 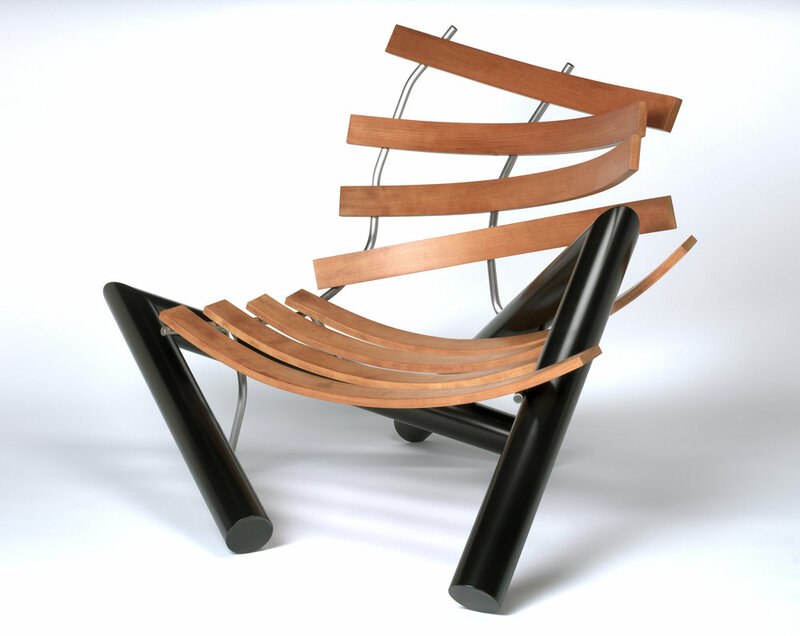 The chair aims to capture the figure of the seated woman using the simple elements of a chair. 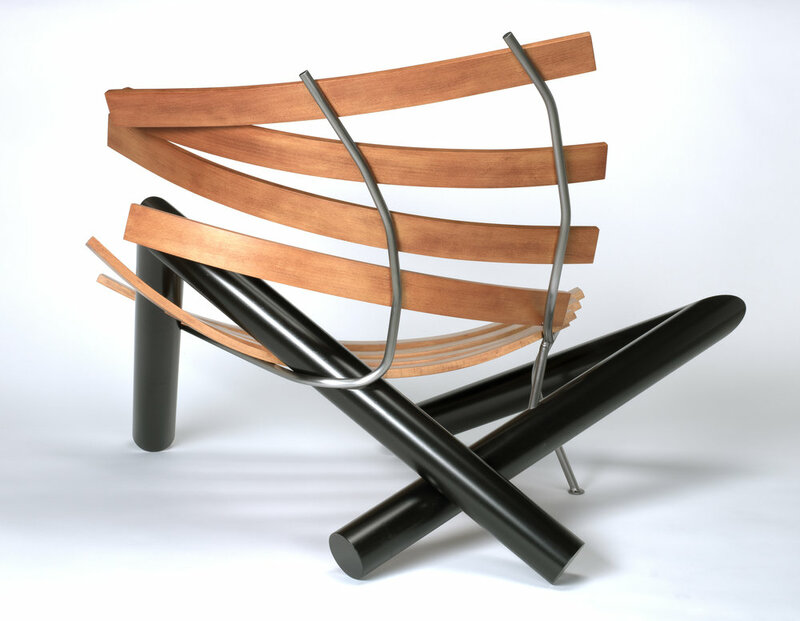 The legs are turned from solid beech and the slats are steam bent beech, held together with polished steel bars. Colin originally made the award winning design during his studies at the world renowned Parnham College in Dorset and it has subsequently been sold to a number of international collectors. Speaking about the Commission Colin Harris said, “It’s a huge honour for my work to be on display in the company of such talented contemporary makers. I am delighted that Sir Nicholas who has a remarkable eye has included my piece in his outstanding collection, which has been endorsed by the Board of the Fitzwilliam Museum.